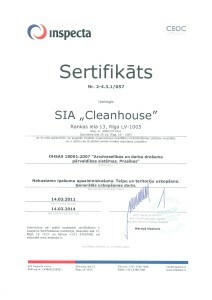 This March, Cleanhouse acquired the Certificate of Environment System Management ISO 14 001 and the Certificate of Conformity OHSAS 18 001 for Standards of professional health and work safety. 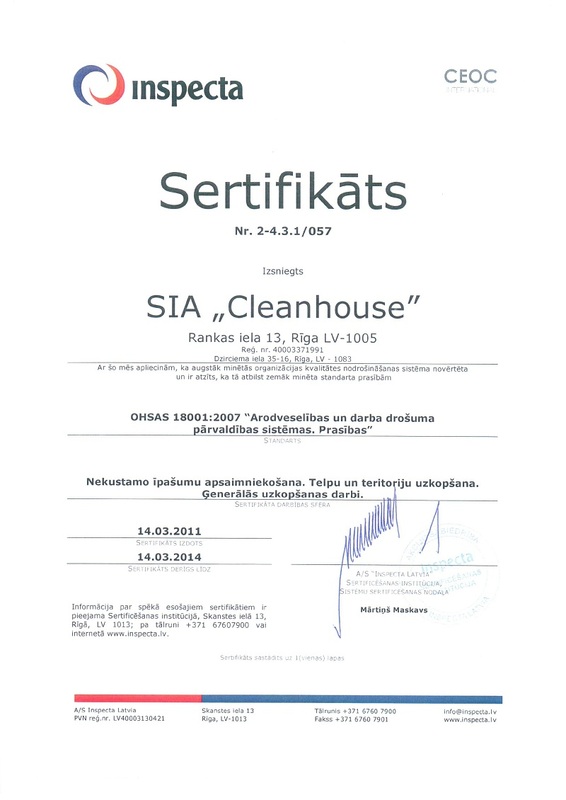 Manager of Cleanhouse staff and quality Anita Butkeviča-Krastiņa emphasizes: „Certificates received is significant acknowledgement to Cleanhouse contribution in environment safety and work safety. 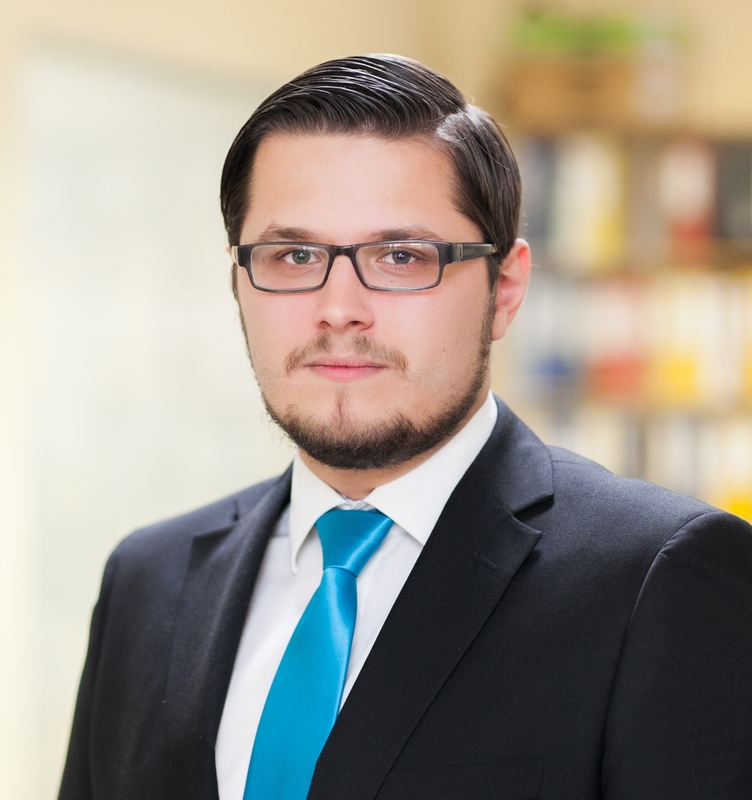 Certainly, it is additional guarantee for our workers and great contribution in promoting good reputation of our company. 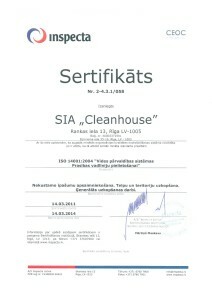 However, it is also important benefit for Cleanhouse customers and business partners, who may be sure that management and cleaning works in their facilities are performed in compliance with the highest international standards, taking into account requirements of work safety and environment protection”. Certificate of Environment System Management ISO 14 001 certifies that the environment management system used by the company conforms with the standard requirements. 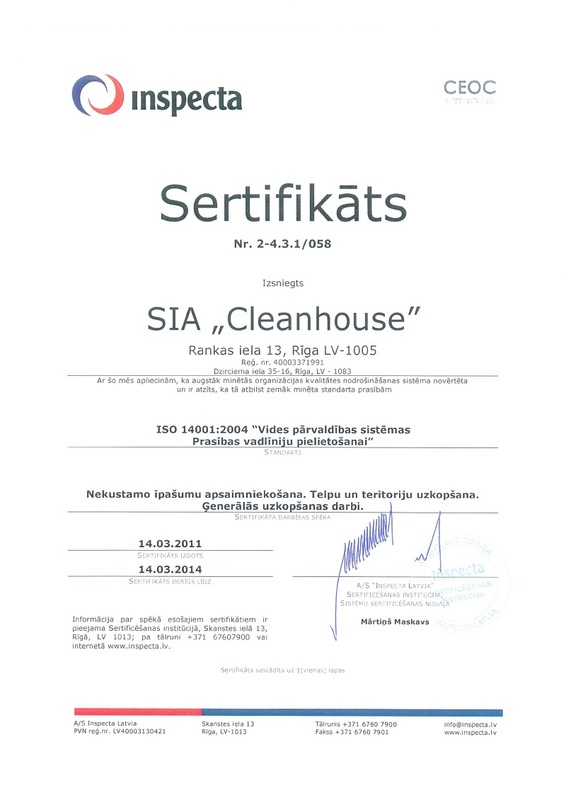 Taking into account that this Certificate was issued by an independent certification institution, it is objective proof to business partners that our company takes all possible measures to decrease influence of services and processes on environment. OHSAS Standards of professional health and work safety are developed by internationally recognized organizations representing professional health and work safety industries. This standard affirms that certified company has invested necessary resources to minimize risks of its workers, has improved work safety management systems and does its best effort to reach work safety excellence.